Not thrilled about what’s on TV? In the mood to watch a movie? 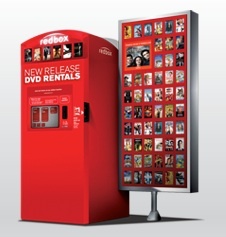 Get a free Redbox DVD movie rental when you use the code MCPC413S at a Redbox kiosk. The code is valid through 10/23/13. You can use the code once per credit card. If you’d rather rent a Blu-Ray or a game, the code will act as a $1.20 discount. Thanks goes to Common Sense with Money for sharing this freebie.